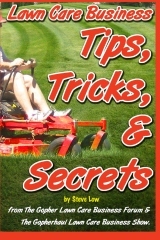 « Tips on mowing pricing. 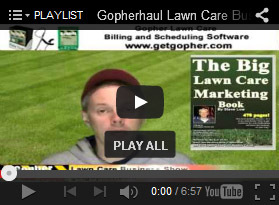 Some new lawn care business owners really seem to hit the ground running as we see in this discussion from a member of the Gopher Lawn Care Business Forum. 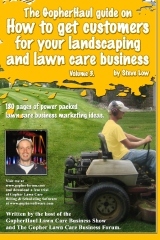 In it, he shares with us some of the marketing tips he has used to attract a total of 150 mowing clients in his first year. Experimenting with some of his ideas might help you reach your goals. 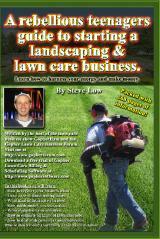 One new lawn care business owner wrote “I have been in the lawn care business for about 16 months. I have been really enjoying life and loving the business. I currently service a modest total of around 150 clients so far, mainly residential and small commercial and am looking forward to advancing the business in the future. Last year was a big learning curve for me, and although I had plenty of work, I was unable to service it all, being a one man operation. I had help from my wife on occasions, but I found that I really needed a worker at the start of spring, to take on the extra work load. I ended up hiring somebody early last fall. Now that I have more confidence in my marketing skills, I can roughly predict how much work will come in with each marketing campaign. 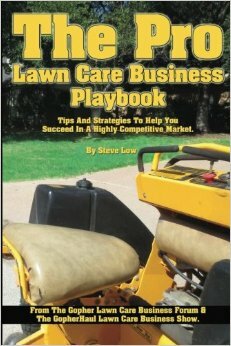 It is much easier to take on new work when you have the labor already there, because most new work is clean up status (knee high lawns), and then we sell the client a regular mowing service. I have no immediate plans to jump into large commercial work at this stage, as I have a few buddies doing it, and I see them sweat bullets every time they sense they might lose a large contract. I will include it someday though, but always keep it a mixture of both. I spent some time on the internet this past year listening to direct response marketing gurus while I was getting my gear together. To get my current customers, I used mainly flyers, but also door knocking with flyers, and some from a local buy, swap, sell website here, where you can list a free ad. 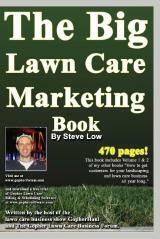 Lately I have used a lead providing service website too, and they only charge $5 a lead. In short though, I rely on many other lead streams too, and always trying to find more. 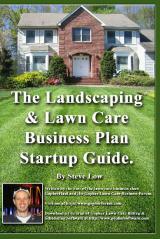 I have made a number of business contacts working in parallel businesses (as example landscapers who don’t mow or or do garden maintenance etc), and pro tree service companies too. 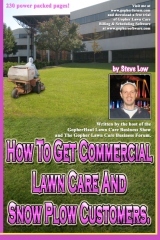 I also have commercial only mowing guys who pass on residential customers to me, and of course I return as many favors that I can in return, (pass on hard landscaping jobs like major constructions and the like, when my customers ask for it. I even have made friends with a home help type person, who cares for the elderly in their homes. 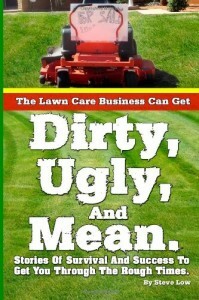 Every regular customer she directs to us, we mow her place for free. We also have a good referral system in place with our existing clients. 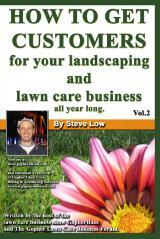 As a business we have had a lot more clients that started out as regulars. 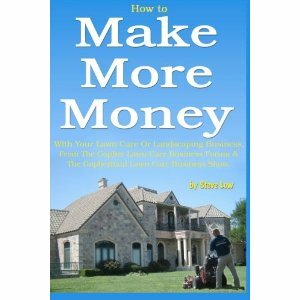 For every 10 new customers we do business with, I would guess that we cull around 4 sometimes more. We operate in a diverse area as far as economic classes of people go too. Not all of our clients end up to be good ones. We charge around $1 per minute + disposal fees when needed. Our free ad on the buy/swap/sell website costs us nothing, and produces a couple of leads per day. During spring. 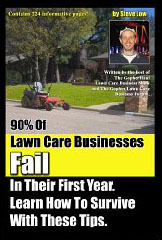 Our next best marketing method would be knocking on doors, of people who have an obvious need for our mowing services. When they answer, I just introduce myself to the neighbor, with flyer in hand. I have found there is no need for a hard sell or anything, They initiate the quote requests on most occasions after you have introduced yourself. If they don’t ask more details about our service, I leave the introduction as just that, and hand them a flyer for future reference, but most times if you are out front, with gear in hand, they will be glad that you knocked. The text on your flyer is important too. I break down everything into fine detail in my offer, to sound like they are getting a lot for their money. On my current offer, I also break down the offer to a front yard only, so the offer in the headline sounds even cheaper, when in fact its not. I tried this approach after hearing surprised customers learning that we don’t just turn up with a mower,…open catch the grass and just leave. They seemed surprised that we edged, removed the clippings, and blew the concrete off. It pays to let them know exactly what they are getting for the offer you are presenting. 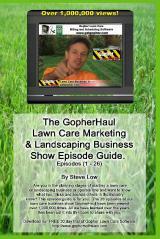 I hope some of these tips help you gain new customers as well. Good luck! 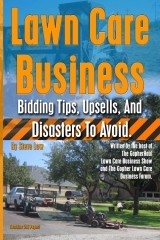 This entry was posted on Sunday, May 20th, 2018 at 1:05 am	and is filed under How to get, How to sell, Lawn Care Business, Lawn Care Customers, Marketing, Residential Customers, Start up. You can follow any responses to this entry through the RSS 2.0 feed. You can leave a response, or trackback from your own site.